Though the sedan is longer than the hatch, both cars have the same amount of legroom, so don’t be turned off by the hatch’s smaller stature. With its standard all-wheel-drive system, the 2010 Subaru Impreza automatically has a leg up over many of its rivals in the small car segment. Throw in its strong performance and safety credentials and the Subaru is hard to beat. TheCarConnection.com researched available road tests on the Impreza to produce this conclusive review and get you the most useful shopping information. And to gauge how the 2010 Subaru Impreza stacks up to the competition, TheCarConnection.com's editors have driven both sedan and hatchback versions and give you their take here in this Bottom Line. Subaru has made several significant changes to its Impreza lineup over the past two years, expanding the range to accommodate a wide breadth of body styles, engines, and target buyers. In fact, last year Subaru added two models to the Impreza lineup with the introduction of the new turbocharged 2.5GT sedan and hatch models, but this year the only major changes are some model line shifts, minor styling freshening, and additional amenities. Visually, every model in the 2010 Subaru lineup gets a new grille design. Some models also are available with a new Special Edition package, which adds a host of extras on top of the Premium and All-Weather packages from last year. Unlike their rally-bred WRX and STi siblings, the regular Impreza sedan and hatch are tuned more for commuter duty instead of high-speed hairpin handling. The driving experience in the 2010 Subaru Impreza is refined for a small car, but not that exciting and is somewhat of a tease considering the fact that all models come with a flat-four "boxer" engine, displacing 2.5 liters, and all-wheel drive. The base engine is rated at 170 horsepower and 170 pound-feet of torque. It’s surprisingly torquey and responsive at low revs, making it especially well suited to the four-speed automatic transmission, though the five-speed manual also brings good performance. The automatic has gears that are spaced too far apart and has an annoying tendency to downshift early. Upgrade to the turbocharged 2.5GT model and you get a more exciting 224 horsepower and 226 pound-feet of torque, but the only transmission option is the outdated four-speed automatic. Still, performance is respectable, with the 0-60 mph sprint taking just 6.5 seconds. Fuel economy is also a disappointment in either version. The base 2010 Subaru Impreza is rated at only 20 mpg in city and 27 mpg on the highway, while the GT is worse at 19/24 mpg. One benefit of the all-wheel drive is the impressive grip levels, especially in adverse weather conditions. Despite all of this, the latest Impreza has been tuned for comfort, and this is clearly evident in the relatively soft and absorbent ride. The interior is roomy, with decent backseat space, though legroom is a bit tight. Hatchbacks don't have a lot of cargo space, while the trunk in sedans is surprisingly spacious. The Impreza's interior is notably hushed from wind and road noise—which were overbearing on previous versions. Both the sedan and hatch do exceptionally well in crash tests. In government crash testing, the 2010 Subaru Impreza scores a perfect five stars for frontal crash protection, five stars for front occupants in a side crash, and four stars for rear occupants in a side crash. The Insurance Institute for Highway Safety (IIHS), meanwhile, gives the Impreza its highest-possible rating of "good" in the frontal-offset and side-impact crash tests. Standard safety features on all Impreza models include anti-lock disc brakes, stability control, front-seat side airbags, side curtain airbags, and active front head restraints to help mitigate crash-induced whiplash. Electronic stability control and incline start assist are included in the Outback Sport or with the Premium Package but not otherwise available on the 2.5i hatch or sedan. Compared with its rivals, the 2010 Subaru Impreza comes well-equipped with quite a few creature comforts, even in base form. The base 2.5i comes standard with 16-inch steel wheels, full power accessories, keyless entry, air conditioning, cruise control, a 60/40-split-folding rear seat, a tilt steering column, and a four-speaker stereo with CD player. The 2.5i Premium adds 16-inch alloy wheels, leather-wrapped steering wheel, and a 10-speaker stereo with six-CD changer, auxiliary audio jack, and steering-wheel controls. New for 2010 is the 2.5i Premium's Special Edition package, which adds fog lights, a sunroof, and the contents of the All-Weather package (heated side mirrors, heated front seats, and a windshield wiper de-icer). Also available is the Outback Sport. Based on the hatch model, it brings a more rugged look and some enhanced ability, thanks to a raised suspension, larger wheels, and standard electronic stability control. Topping the range is the 2.5GT, which features goodies such as a power glass moonroof and fog lights, as well as 17-inch alloy wheels, a mildly sport-tuned suspension, a hood scoop, and bright electroluminescent gauges inside. The styling of the 2010 Subaru Impreza sedan won’t win any beauty contests, but its hatch sibling has a look you're more likely to warm up to. Few reviewers are moved by the styling of the 2010 Subaru Impreza sedan, and most find it very boring and generic. The hatch, on the other hand, has mixed results and is definitely the better pick. 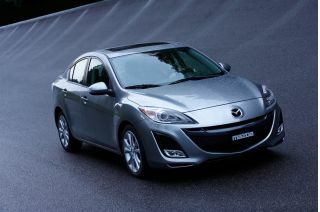 Automobile Magazine agrees that the hatch is "a little more attractive than the sedan, but looks exactly like another car that sells incredibly well—the Mazda [Mazda3]." In fact, although it is considered a "station wagon," it does not particularly look like one. Cars and Driver reaffirms this, pointing out that the five-door 2010 Subaru Impreza "looks more like a traditional hatchback this time around, so fans of the old wagon might be disappointed." The 2010 Subaru Impreza sedan and hatch are fun to drive, but fuel economy is nothing to write home about. If you enjoy a spirited drive, you won’t be disappointed by the turbocharged models. The non-turbocharged models, on the other hand, as most reviewers found, are lacking in the performance department and can really feel sluggish unless driven hard. The non-turbocharged models suffer because they are hampered by the weight of the 2010 Subaru Impreza. Car and Driver points out that the Impreza’s "curb weights are hefty for a compact, and performance is tepid as a consequence." MyRide.com backs this up by saying that although the "combination of a 170-horsepower 2.5-liter flat-four engine, a five-speed manual transmission and full-time all-wheel drive sounds like a recipe for fun," it is, in fact, a "high-carb mixture thanks to the Impreza's 3,064-pounds curb weight...[resulting in] pokey acceleration, even though the powertrain gives it all it's got." Automobile Magazine points out that the 2010 Subaru Impreza’s 2.5-liter four-cylinder engine found on the base models "survives largely unchanged from the previous generation Impreza, albeit with a slight bump in horsepower and torque...power is up to 170-horespower at 6,000 rpm, torque climbs to 170-pound-feet, and the torque peak has fallen, from 4,400 rpm to 4,000 rpm," which is "enough to move the car along just fine in most driving scenarios." "When it comes to road manners, the littlest Subie is pretty sedate...the 2.5i gets the softest suspension of the Impreza lot, which is to say that it's comfortable over bumps but not terribly sporty,” reports Automobile Magazine. ConsumerGuide finds that "steering feel is responsive, if not as razor sharp as would be expected in a sporty car." The cabin of the 2010 Subaru Impreza is well-built and comfortable for most, but anyone taller than six feet may find long journeys a bother, especially if forced to sit in the back. There is a general consensus among reviewers that the interior of the 2010 Subaru Impreza is good but hardly great. However, a few can't avoid mentioning the cheap feel of some of the cabin materials. Automobile Magazine describes the interior as "well laid out with everything easy to read and reach," and Automotive.com finds it to be "less confining, perhaps more airy, than the previous generation." The 2010 Subaru Impreza scores top marks when it comes to safety, so it’s no surprise that it's packed with a generous list of standard safety items. Safety is one of Subaru’s strong suits, and it’s one of the reasons why the brand’s customers are so loyal. No surprise that the 2010 Subaru Impreza scores top marks in independent crash tests and comes packed with the latest safety gear. 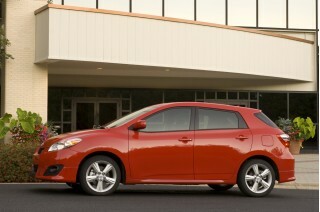 The Insurance Institute for Highway Safety (IIHS) rates the 2010 Subaru Impreza “good” in front crash-test protection. The National Highway Traffic Safety Administration (NHTSA) gives the Impreza a perfect five-star rating from front and driver side impact protection and four stars in all other categories. The Impreza hatch also scores five stars for frontal impact and four- and five-star results in side impact from NHTSA, respectively. 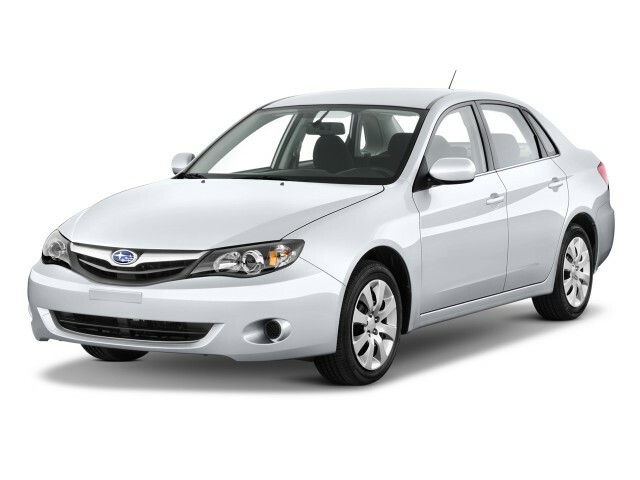 Additionally, the 2010 Subaru Impreza gets the highest rating of "good" from the IIHS for both front and rear impact. Standard safety features on all Impreza models include anti-lock disc brakes, stability control, front-seat side airbags, side curtain airbags, and active front head restraints to help mitigate crash-induced whiplash. Electronic stability control and incline start assist are included in the Outback Sport or with the Premium Package but not otherwise available on the 2.5i hatch or sedan. According to Automotive.com, "ABS on these cars is among the most sophisticated available." Cars.com adds, "standard side-impact torso airbags for the front occupants, plus curtain airbags that cover the side windows completely, are standard and contribute to the model's good scores." 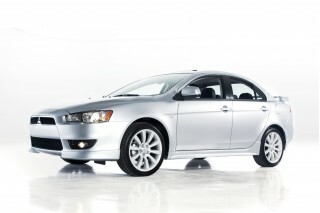 Reviews read by TheCarConnection.com report that visibility in both the sedan and hatchback are positives. MyRide.com assures potential buyers that "seeing out of the Impreza's big, airy greenhouse is easy enough, with no particularly bad blind spots to speak of...mirrors are well sized for the car both inside and out, and the view to the side and front is also very good." The 2010 Subaru Impreza comes well equipped in standard trim, but if you upgrade to the 2.5GT, be prepared to pay. Most reviews read by the TheCarConnection.com agree that the 2010 Subaru Impreza comes well-equipped, even in base form, but almost all complain about the 2.5GT model, which is considered too expensive. Edmunds reports the Impreza sedan comes standard with “16-inch steel wheels, full power accessories, keyless entry, air-conditioning, cruise control, a 60/40-split-folding rear seat, a tilt steering column and a four-speaker stereo with CD player." 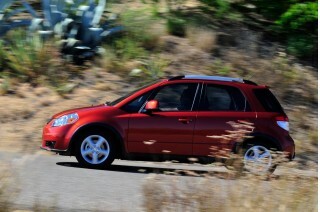 Note that for the hatch, there are two models: the 2.5i and the 2010 Subaru Outback Sport. The 2.5i starts quite basic and includes air conditioning, keyless entry, power windows and locks, and an MP3-compatible CD sound system. The Outback Sport features a more rugged appearance and picks up a raised suspension setup, larger wheels, and standard electronic stability control. The Outback Sport also gets special side molding, bumper underguards, heated side mirrors, fog lamps, a wiper de-icer, heated seats, and the 10-speaker audio system. For those with extra cash, Edmunds points out that the Premium package “adds 16-inch alloy wheels, a leather-wrapped steering wheel and a 10-speaker stereo with six-CD changer, auxiliary audio jack and steering-wheel controls.” Then there’s the Premium’s Special Edition package, which is new for 2010 and adds fog lights, a sunroof, and the contents of the All-Weather package (heated side mirrors, heated front seats and a windshield wiper de-icer). Automotive.com reports that the 2010 Subaru Impreza’s stand-alone options "include body molding colors various deck-lid spoilers, a battery warmer, a subwoofer and power amp for the base audio system, and XM or Sirius satellite radio hardware." Also new for 2010 is Bluetooth wireless capability in the optional navigation system, with a microphone embedded in the overhead console.